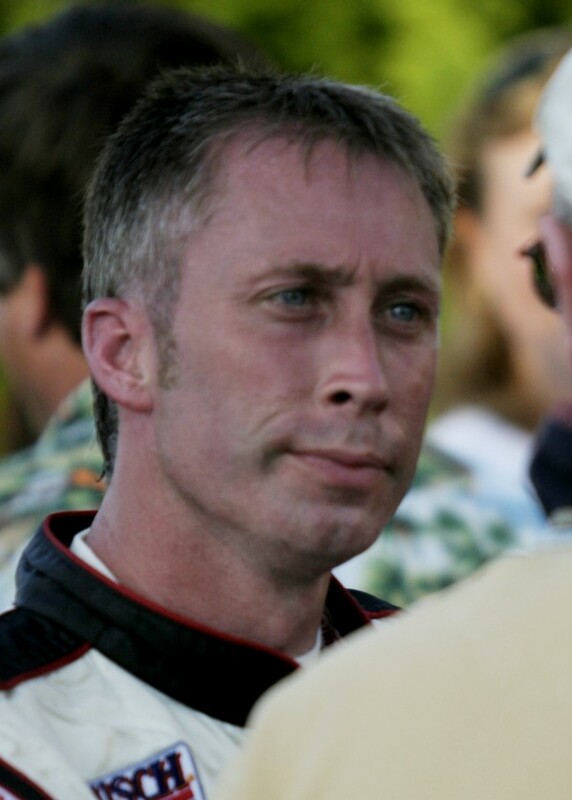 NORTH YARMOUTH, Maine — After living in North Carolina since 1997 and pursuing his passion in auto-racing, Cherryfield’s Andy Santerre has returned to Maine and is in semi-retirement from racing. Santerre, a four-time K and N Pro Series East points champion who was the competition director for Hattori Racing Enterprises in that series last season after spending two years in a similar capacity with Revolution Racing, has accepted a job with Steve Griswold that doesn’t involve racing. So has Santerre’s wife, Sue, who had also worked for Hattori Racing Enterprises. “Sue and I received real good job offers from Steve and we moved up during the Christmas break,” said Santerre. Santerre will be taking care of Griswold’s various properties such as their beach house in Kennebunkport, cars and boats. “And Steve has a 6,000-square foot Grizco Racing shop in Portland but he doesn’t have race cars anymore, he has exotic cars,” said Santerre, who will manage the upkeep of the vehicles that include two Porsches and a 2013 Ferrari. Santerre had signed on with Steve and wife Peg Griswold and their Grizco Racing team in 2005 and was the general manager of a three-car K and N Pro Series East team that included himself. He won his fourth straight points title that year. Sue Santerre, who had been the front office manager at Hattori Racing Enterprises, will serve as Griswold’s executive assistant at Propsys Property Management which is currently located in Lewiston but is moving to Portland. The Santerres and daughters Sara and Samantha are waiting to move into a new home in North Yarmouth. “Steve offered us a retirement plan and an opportunity to invest in his company,” said Santerre. He said the uncertainty of his racing future also played a role in his decision. “In the racing business down there, there’s nothing for me at my age . I didn’t want to go to [Sprint] Cup or the Nationwide Series,” said Santerre. “And every October [after the K and N racing series concluded], I didn’t know if I’d have a job. A lot of K and N teams lay people off in winter. Santerre, a former Rookie of the Year in the Nationwide Series, praised Shigeaki Hattori, who owns Hattori Racing Enterprises. “It was a tough decision. Shigeaki has done a great job and he was tremendous to us. He’s a good friend and we had a tremendous year together,” said Santerre. Both of Hattori Racing Enterprises drivers finished in the top 10 in points. Brett Moffitt wound up third, just 24 points behind champion Kyle Larson. Moffitt had two wins, eight top-fives and 10 top-10 finishes in 14 races. Sergio Pena finished 10th in points with three top-fives and eight top-10s. Santerre enjoyed his time in North Carolina but is glad to be returning to Maine. “Sue and I wanted the kids to be in a smaller community. The schools are good and I like Maine winters. I enjoy the snow and snowmobiling and the kids like it, too,” said Santerre. He will still “dabble” in racing. He has had a lot of offers and will do some consulting for Eddie MacDonald’s team in the K and N Pro East Series. MacDonald, who is from Rowley, Mass., finished sixth in points this past season. Maine native Rollie LaChance is his crew chief. “And don’t count me out from coming up to Speedway 95 [in Hermon] on a Saturday night to help out my nephew [Ryan Beal],” said Santerre. Beal is a regular racer at Speedway 95. “I’ve got good friends racing all over the state of Maine and I’ll be able to help them out occasionally on my terms. It will be fun again. I won’t be trying to make a living at it,” said Santerre. Santerre was recently named the fourth most influential northeast motorsports personality over the past 25 years at the Northeast Motorsports Expo at the Augusta Civic Center. Longtime racer and points champion Mike Rowe of Turner was No. 1, former Oxford Plains Speedway and New Hampshire Motor Speedway owner Bob Bahre was No. 2, former Sprint Cup driver and two-time race winner Ricky Craven of Newburgh, an ESPN motorsports analyst, was third and nine-time OPS points champion Jeff Taylor of Farmington was fifth. “It was pretty neat. It was one of the best expos they’ve had in quite a while. I got to talk to a lot of guys I haven’t seen in a long time,” said Santerre.